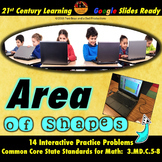 This shape review allows students to sort shapes by attributes, create new shapes from existing shapes and identify shapes by name. Make sure you download the companion smartboard lesson…the two work perfectly together. Plus the smartboard lesson will give your students more interactive practice. 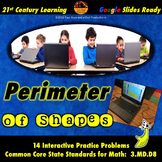 Your students will learn all about 2D shapes with these fun and engaging practice pages. What's included? 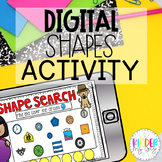 A page for each of the following shapes: *Circle *Heart *Hexagon *Oval *Pentagon *Rectangle *Rhombus/Diamond *Square *Star *Triangle I hope you and your students LOVE these activities! 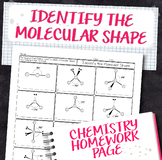 These shape worksheets are a perfect addition when introducing basic flat shapes. There are five worksheets: circle, square, rectangle, triangle and hexagon. The students have to trace the shape, circle real life items and draw the shape on their own. For Pre-School to Kindergarten level. 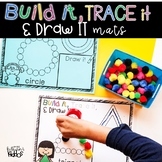 Includes two worksheets that help practice recognition of the shapes, as well as assists in fine motor capabilities to draw the shapes. Students color, trace, connect dots, and draw the shapes on their own. If you have any questions feel free to ask! Enjoy! Spooky printable worksheets that provide practice on 2D shapes: triangle, square, rectangle, circle, oval, pentagon, hexagon. Check out the preview!